Art. 421 cm H 89 - L 46 - P 54. 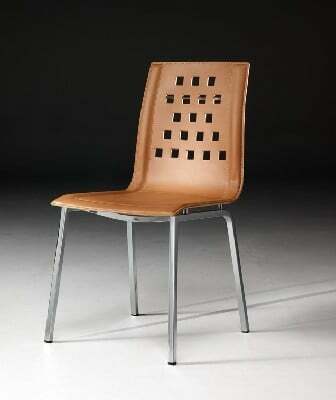 Chair with leather covering chromed metal frame.